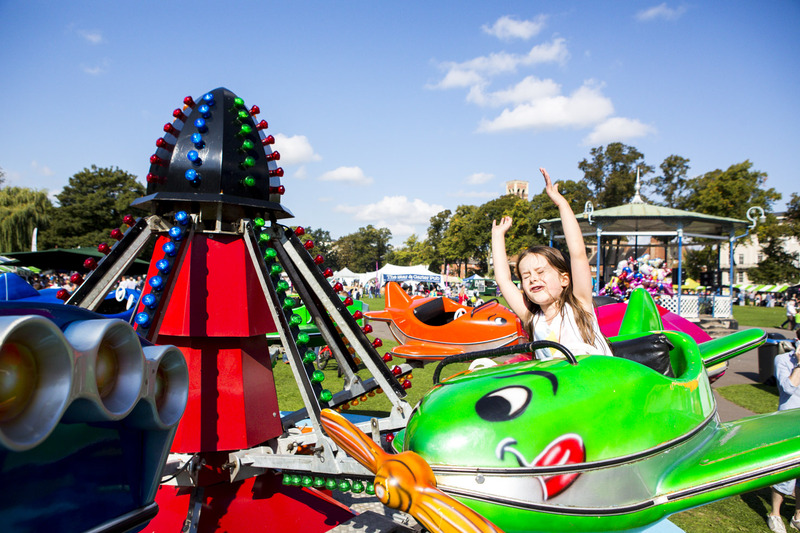 BID Leamington generates a full calendar of promotional activities, designed to entice customers to all sectors on offer within the town centre and beyond. All the campaigns are tailored to ensure that the major business sectors are covered throughout the year: Health & Beauty; Eat & Enjoy; Shopping; Homes & Services. In order for your business to make the most of the campaigns that we provide, we encourage your input and feedback. Please contact us to discuss how we can create or improve future campaigns to complement your business. 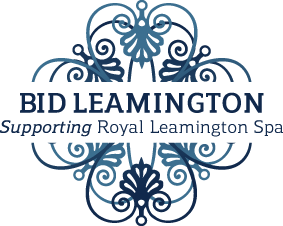 There are large number of events coming up over the summer and into autumn and winter that are run by BID Leamington as well as other volunteers. Please get in touch if you would like to ‘tap into this captive audience’ and get involved in any way. Make the most out of events & promotions…. You can host an event and / or join the conversation on social media. Host a themed event in your shop. We will promote it on the ‘Royal Leamington Spa website and in the local papers. Give us flyers or offers to distribute at these events. We often have a stall and staff on standby to help you get involved in some way. To book a stall at the event … please get in touch for details. Each year around 130 offers are included in the popular Little Book of Offers which is produced twice a year – starting April and August. This year, 10,000 books will be distributed packed full of offers for April/May and an additional 15,000 in August to coincide with the National Bowls and Food & Drink Festival with offers up to 31st October. 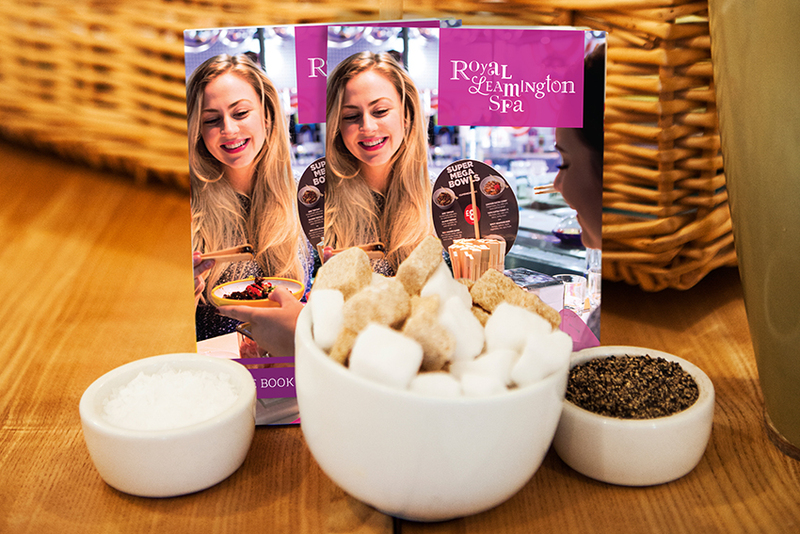 All offers will also appear on the Royal Leamington Spa website as Spa’kle card offers. Thank you to everyone who has submitted an offer already. The deadline for the April – May edition is the 15 February. The deadline for the August – October edition is the 15 June. We are happy for you to email us your offers. We run a number of websites and social media accounts and are always looking for things to post on your behalf – so please email us your content … events, news, new products etc. The most visited is www.royal-leamington-spa.co.uk which gets over 31,000 unique visitors per month followed by www.loveleamington.com. 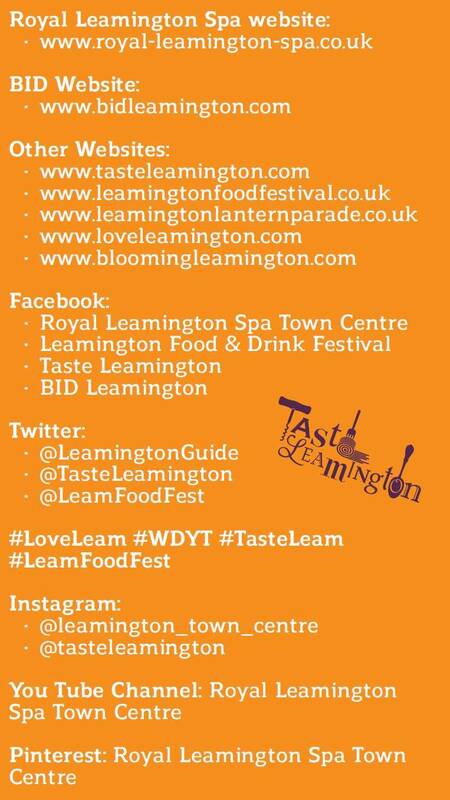 we have also just launched ‘Taste Leamington’ www.tasteleamington.com to promote the Food and Drink Sector. We also have nearly 13,000 twitter followers @LeamigntonGuide and over 6000 on Facebook. Please see the summery of our digital offer and how to join the conversation in the image to the right and get in touch if you would like some support getting involved. Encouraging customer loyalty and attracting visitors from neighbouring towns for Christmas shopping, the Golden Ticket Prize Draw receives over 6000 entries. 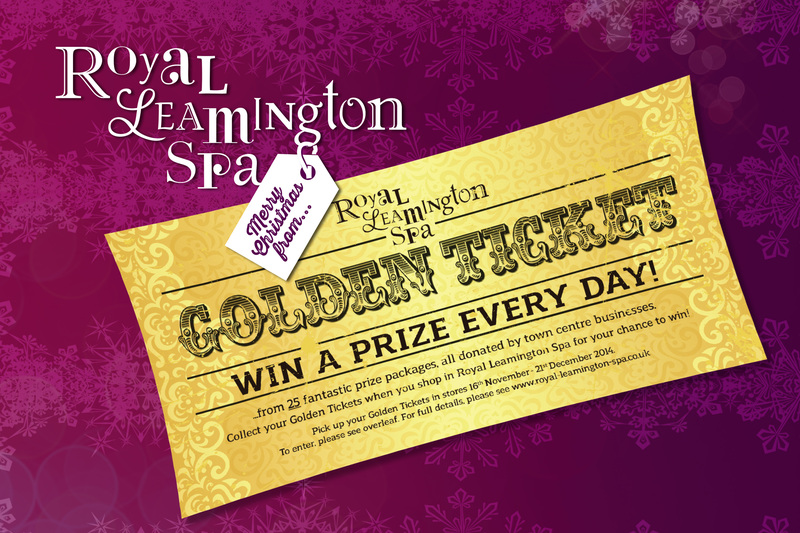 Prizes are donated by local retailers and golden tickets are issued to all customers who visit participating shops during December. Customers then complete their details and return the tickets to BID Leamington ready for the draw. The Golden Ticket promotion achieves a 10% customer response rate, in comparison to an expected 2-4%, with around 1000 of your customers submitting their details for future contact. Brief your staff so they offer Golden Tickets to your customers – word will spread! Our members receive regular updates by email as well as hand delivered newsletters which can be downloaded below.